Today is Time To Talk Day. The idea is that you take five minutes out of your day to talk about mental health issues with anyone, in any capacity, whether you’re personally affected, are close to someone who is, or just want to know more. I do not ask you to do this. But I ask you to take five minutes to read something I wrote a couple of years back, that I’ve neglected to publish until now. And in answer to your question, in my own case, looking at the list above, you may pick the second option. Joshua sits on the blue armchair. On screen, a young British actor, younger than me, playing a character of incredible age. Each time I see him I remember my sense of outrage when he was cast, that self-righteous indignation that comes when you get older. I remember how wrong I was. Sometimes it is good to remember that you were wrong. The Doctor is visiting Vincent Van Gogh. They have defeated the week’s monster, which turned out to be blind, lashing out in panic, not because it wanted to kill. The Doctor comforts the dying beast, and remarks “Sometimes winning is no fun at all”. Joshua frowns. This was not what he expected from the trailer: this quirky, seemingly fun instalment, rendered darker when seen in full. I recall that conversation in a harshly-lit study, my eldest son only just shaking off the drama of the previous episode and its death and commotion to ask about the next. “What’s the monster?” he’d asked. Here I hesitated, because I wanted to tell him the monster is depression. But perhaps this is too heavy a burden to bear for a child of seven. And he has his own burdens, my son, as elder brother of a child with autism. The worries of the world weigh him down, although we do our utmost to cast them off. I have taught him, over the last few months, the value of not taking things too seriously. We walk a fine line between telling him what he needs to know, ushering him in gently to this world in which he must ultimately play a role, and forcing him to grow up too quickly. Sometimes the line slips, and sometimes it moves, first one way and then the other. To prep him for this story, I have showed him images of Van Gogh’s most important work and explained that he was a troubled man who cut off his ear and then ended his life early. I explained that Van Gogh did not believe his work had any value because no one liked him. This is a simple way of looking at things but it is enough to satisfy him. We have seen an episode where the Doctor’s self-loathing is made flesh and this was a good beginning. 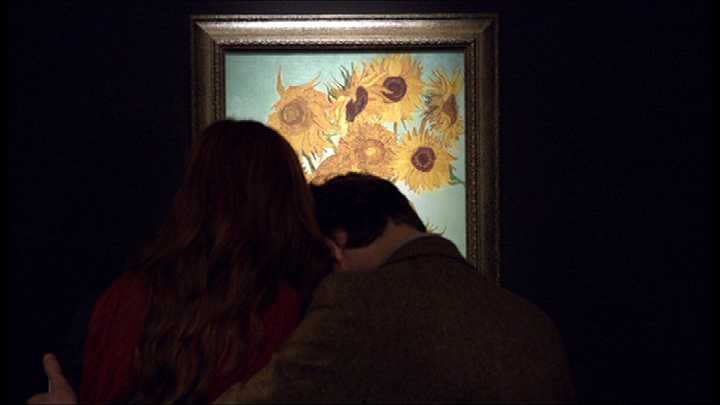 At the end of the episode, the time travellers take Van Gogh to the present to show him the depths of his legacy. The scene in question is drenched in saccharine and is emotionally manipulative, but the moment in which Van Gogh hears himself described as “one of the greatest men who ever lived” is one of pure joy. On the armchair, Joshua is squirming because he worries that this revelation will change the future and that the universe will come undone, which is the sort of thing that happens quite a lot in Doctor Who. It changes nothing. Van Gogh still takes his own life. The Doctor talks about good things and bad things and about how “the good things don’t always soften the bad things”. The credits roll. And Joshua cries. A nod. I pick him up and carry him down to the bedroom. Jesus, kid. You have no idea how hard this is. And you may never know why. Or perhaps one day you will. But not today. That’s a monster that, for the moment, at least, I will not allow you to see. Wow, powerful stuff! Thanks for sharing!